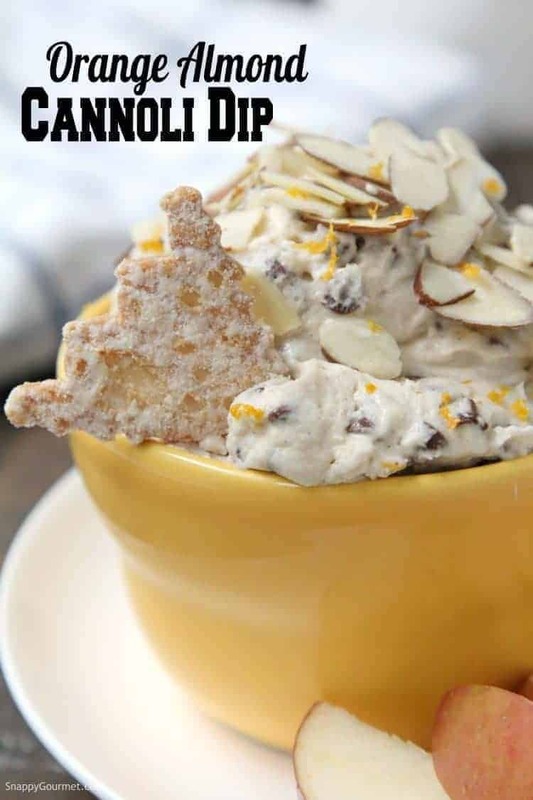 Easy Cannoli Dip recipe flavored with orange and almond. 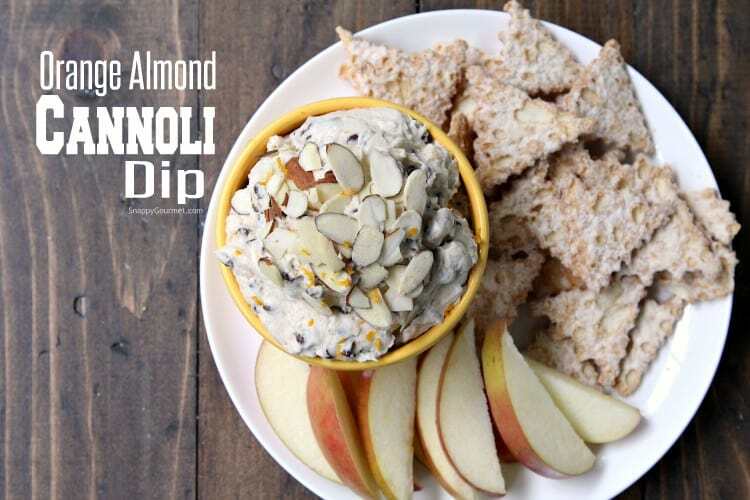 Learn how to make cannoli dip that will wow your guests. 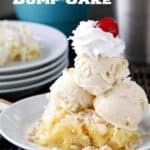 Perfect Italian dessert for holiday and Christmas parties. Oh how I love a good Italian cannoli, don’t you? 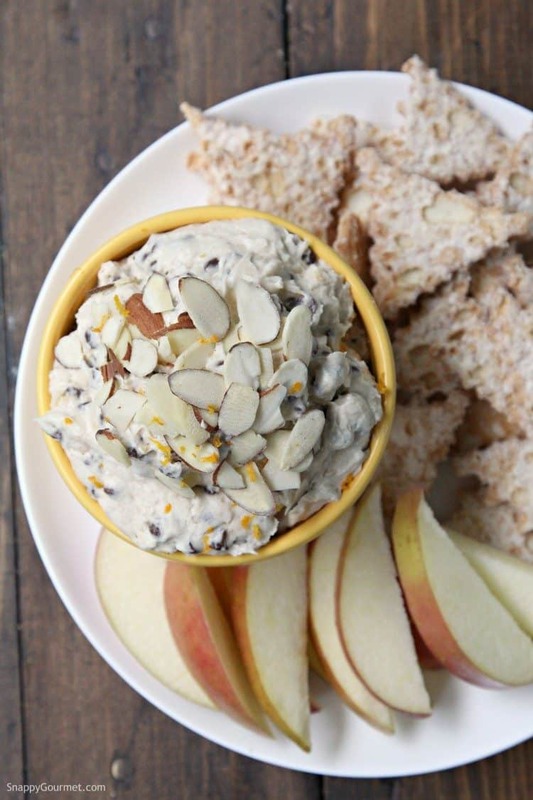 This Orange Almond Cannoli Dip is now my third easy cannoli dip recipe. Remember my original homemade Cannoli Dip or my recent Chocolate Cannoli Dip? Well, I thought a trio of dessert dips would be a good idea, so came up with this version to add to the group. Not sure what a cannoli is? Well, if you’ve never had one, be sure to give one a try. 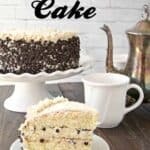 You can generally find them in most large grocery store bakeries as well as Italian and specialty grocery stores or bakeries. It’s made of a pastry dough that has been formed into a tube and deep-fried then filled with a ricotta cheese and powdered sugar filling. 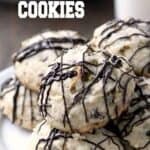 The filling may contain things like candied fruit, chocolate chips, nuts, cinnamon, mascarpone cheese, and a variety of things. Everyone will give you a different opinion on what makes the BEST cannoli kind of like asking people about pizza. haha! Or visit my cannoli recipes page for the latest and greatest crazy cannoli inventions I come up with. 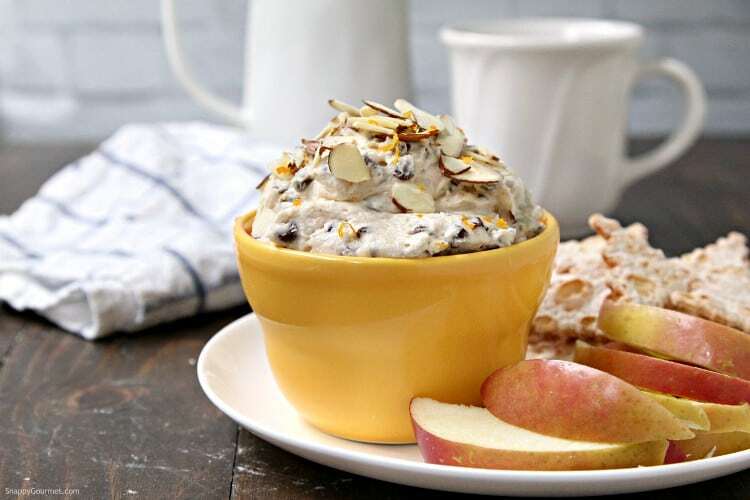 This easy cannoli dip is ready in minutes. It’s almost too quick and easy! Everything can be mixed in one big bowl. So start off with a large mixing bowl. Then mix together the ricotta, mascarpone, and powdered sugar. 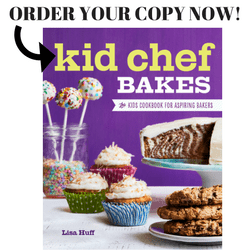 I like to use an electric mixer but you could use a stand mixer or mix by hand. I think the electric mixer gets out any small bumps, but a strong whisk would work too. I like to use full-fat ricotta and mascarpone, but the low-fat or light versions would also be ok. It may just result in a dip with thinner consistency but it will be ok. You may want to drain your cheese for a thicker dip, but not always necessary. Then once you have the base of your cannoli dip, mix in the vanilla extract, fresh orange zest, almond extract, orange juice, cinnamon, and salt. Once it’s all well mixed, stir in the mini chocolate chips. At this point, if you’re not serving right away, cover and store the cannoli dip in the fridge. I think it’s best to let it sit in the fridge for a while (like at least an hour or two or even overnight). When you’re ready to serve, remove the dip from the refrigerator. You can serve it cold or let it come to room temperature. Personal preference. 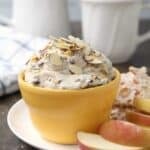 I like to sprinkle some sliced almonds on top as well as some fresh orange zest so people know what’s in this fun dessert dip. 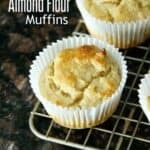 You can definitely switch out the orange and almond flavors for your favorite flavors. Other citrus fruits would be great as would other nuts. A little of your favorite liqueur would also be great such as amaretto, nocello, or whatever you have. Just be sure to not add too much so that consistency of your dip isn’t too thin and runny. What love to hear about your favorite cannoli in the comments! 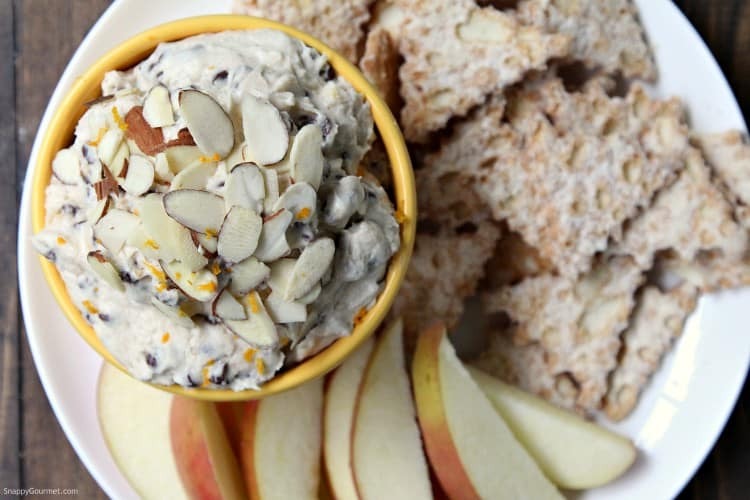 Hope you enjoy this Orange Almond Cannoli Dip! 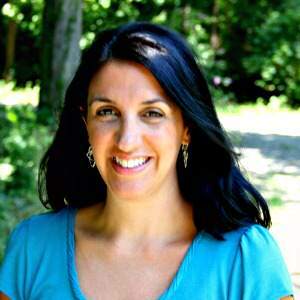 Be sure to check out my What to Serve with Cannoli Dip for some fun ideas. 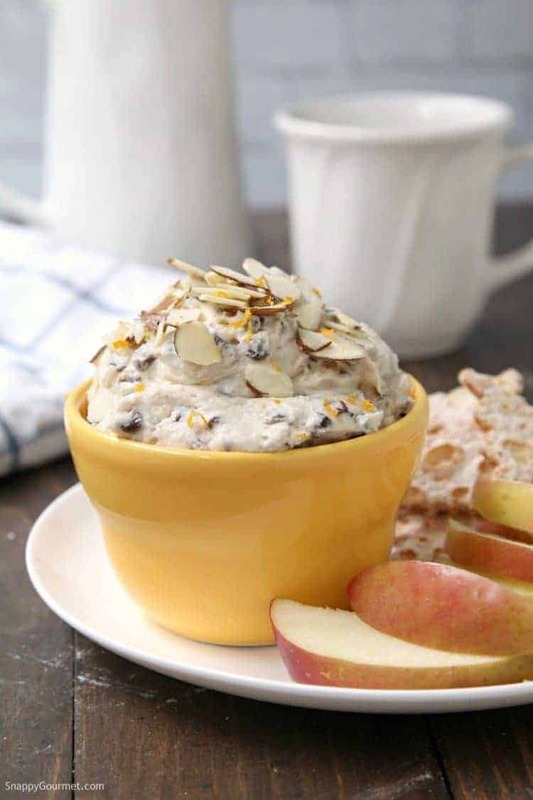 Learn how to make an easy cannoli dip with orange and almond flavor. 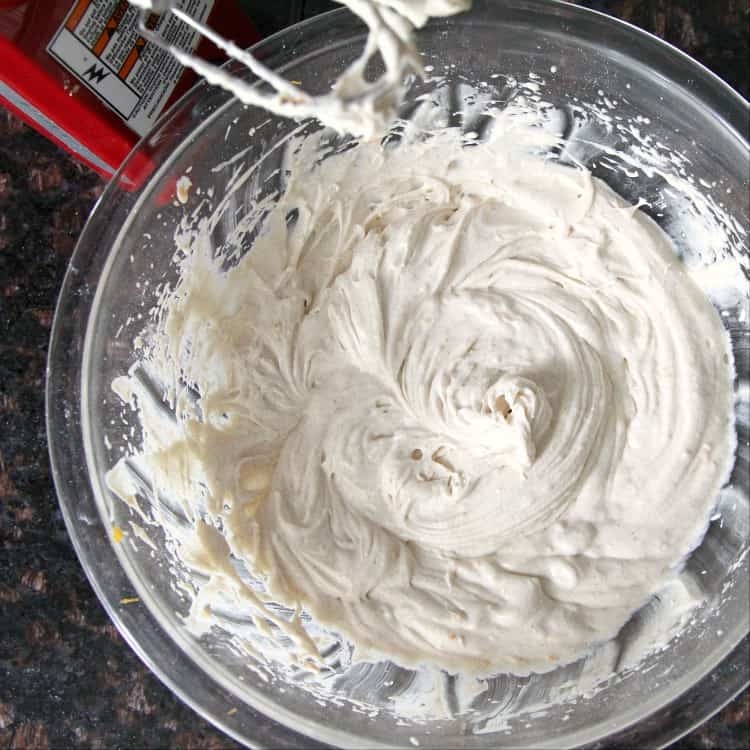 Place ricotta, mascarpone, and powdered sugar in large mixing bowl. Mix with an electric mixer or stand mixer until smooth and well combined. Mix in orange juice, orange zest, vanilla, almond extract, cinnamon, and salt until well combined. Stir in mini chocolate chips. 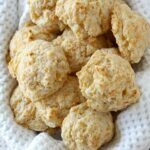 Top with sliced almonds and/or orange zest and serve immediately or cover and refrigerate until ready to serve. SNAPPY TIPS: I suggest using full fat ricotta and mascarpone cheese to make a thicker creamier dip. If your cheese has any liquid, be sure to drain. SNAPPY SUBSTITUTIONS: Instead of mascarpone, you could substitute cream cheese. Love the combo of orange and almond together!!! I want to reach through the screen and eat this dip! It looks and sounds absolutely delicious! 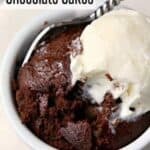 Perfect snack or dessert! I’ve never made cannoli dip, but it sounds like I’ve come to the right blog! Love all your other cannoli recipes, too! Oooh, I see you paired this with apple slices. This would be an awesome pick-me-up to go with my afternoon snack. My family loves cannoli’s and I can’t wait to make this for them!